Killer Characters: A Plain Malice is Coming! A Plain Malice is Coming! 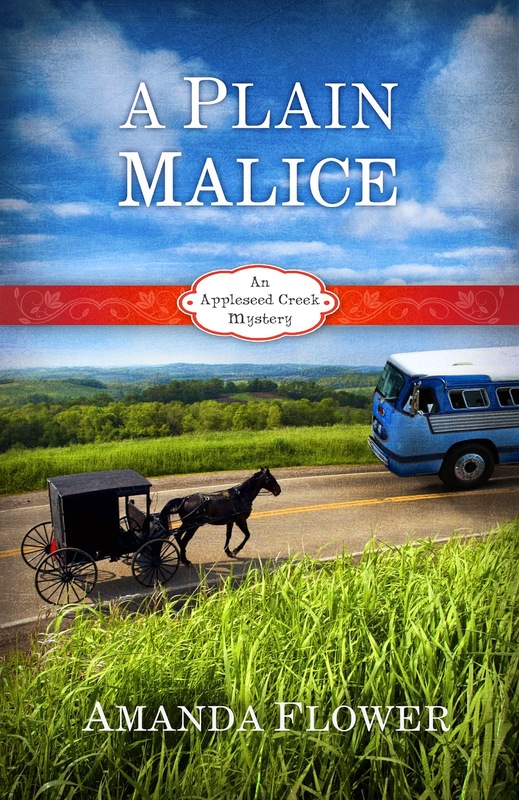 I know we left you on a cliffhanger at the end of A Plain Disappearance, but now you will finally get to read the rest of Chloe Humphrey’s and my family’s story in A Plain Malice to be releases on September 16, 2014 in Kindle. In will release shortly after in Nook and then in paperback. Truly, I don’t know what this Kindle and Nook nonsense is, but Chloe’s biographer, Amanda Flower, told me to say it. Just between you and me, she’s an odd one. In this final story, you will learn about how Chloe solves the murder on a tour bus traveling through Amish country. It’s a hoot! And you will finally learn if Chloe and Timothy will live happily ever after. My lips are sealed on that one. You will have to read it to find out. Like you, I’m sad the series is coming to an end. It’s been a great joy to share our lives and culture with you despite those pesky murders. I hope you enjoy the last book! Sad to read that Plain Malice is the end of the series. I have enjoyed this series so much. Fingers crossed for a happily-ever-after ending. OK, I've got it on pre-order, but I'm going to miss this series! Nooooooo ... it can't be over after this ... it has to continue on and on and on ... my heart is breaking!!!! It's going to be too sad to leave these characters! It is always so sad when a well loved series ends.